The Old Testament contains narratives about people, places and events that are far removed from us in time and cultural context, which can make it feel like foreign territory. By focusing your biblical studies major in the Old Testament, you will have the opportunity to understand how God’s revelation to the people of Israel speaks to us today. You will also learn to recognize how the Old Testament is marked by unity in its themes, regardless of its great diversity of material.  Why study Old Testament at Gordon? Gordon’s Biblical Studies Department has a tradition of integrating the study of the Bible with theological discourse. Our faculty hold degrees in a variety of scholarly fields, and draw from their experiences in pastoral ministry, research, scholarship and world travel in order to serve you—not only in the classroom, but also through life together at Gordon. You can study the Bible on site by participating in one of our Jerusalem University College programs—including a three-week field study in Israel or a semester-long study abroad experience at the Jerusalem University College. Through our partnership with Gordon-Conwell Theological Seminary down the street, you can take up to eight credits in upper-level language courses or in other relevant areas of study alongside your courses at Gordon. The Old Testament concentration is part of the biblical studies major.